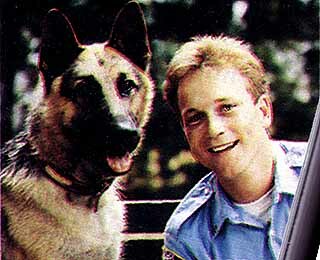 A crime-fighting German shepherd is paired with a new police academy graduate who also has to care for his young nephew after the death of the boy's mother. Text Copyright © 1998-2009, Maria Vrzoc & George Fergus. All rights reserved.